C. N. Kothari Homoeopathic Medical College & Research Center established in February 2001 is affiliated to Veer Narmad South Gujarat University, Surat. It is run by “Aruna-Anil Vyara Pradesh Vikas Pratisthan” a public charitable trust. Dr. Kanubhai Desai serves as the president of trust. 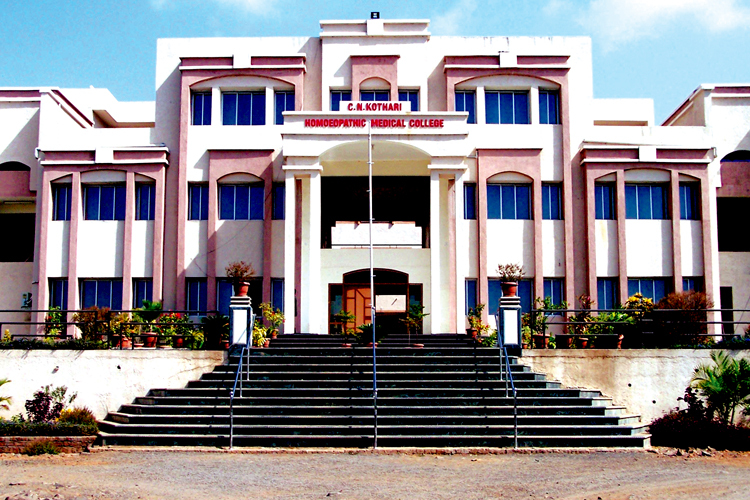 The college is located at Vyara town of Tapi district in Gujarat state. College is at 60 km distance from railway station, Surat and at 80 km distance from domestic airport, Surat. It has its own well designed and attractive building accommodates well equipped laboratories, spacious classrooms, computerized departments, computer internet library, a rich central library having more than 6479 books, 70 journals and magazines in different languages. College has its own fully furnished girls hostel and dining hall in campus. It has 100 seat admission capacities with all the infrastructural facilities as specified by the norms of CCH, New Delhi. Faculty consists of senior teachers & doctors, who are fully qualified, experienced, enthusiastic and experts in their respective subjects and are student oriented. Every year the college organizes cultural events, debates, quiz contests, seminars, sports activities, funfair etc. to develop the inert talent of students. The college is attached to its own separate homoeopathic hospital, running OPD & IPD supported with many peripheral OPDs & and a central OPD within the vicinity of college. Various camps are organized at regular interval at the rural & urban areas to serve the needful at no cost. College has undertaken the research on Sickle cell anemia. Dr. (Mrs.) Jyoti Rao serves as the principal of the college and superintendent of Hospital. Dr. G.D. Raval (CCH member) serves as the dean and Dr. A.K. Desai serves as the other than dean for faculty of homoeopathy in Veer Narmad South Gujarat University, Surat.